Valley of Fire State Park. Flowers and Red rocks with 18 minutes of star trails. 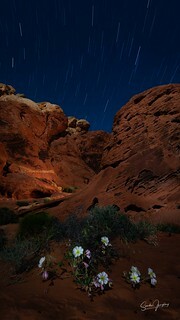 Added LED light to the flowers and Incandescent in-between the rock formations.